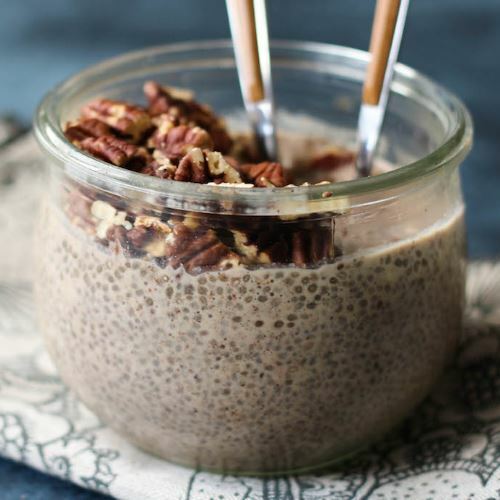 Combine milk, chia seeds, vanilla and sweetener in a bowl. Mix well until combined and the mixture begins to thicken. Store covered in the refrigerator overnight or for at least an hour. Stir well before serving and add a bit of milk to the pudding if it becomes too thick. Top with toppings of your choice. Note: This recipe makes enough for two large servings, but feel free to double the recipe and keep it in your refrigerator for another breakfast or snack.